One of the pages in our Field Manual, which we revise each winter. 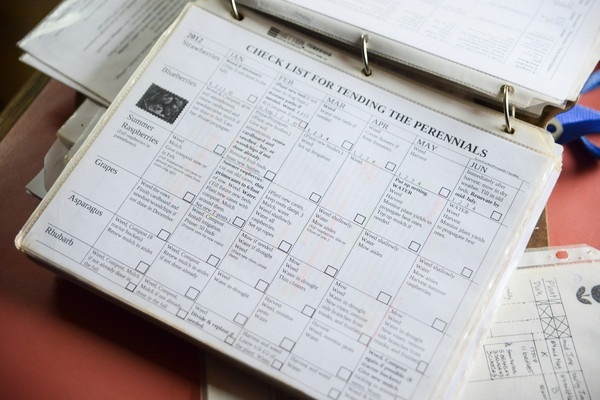 We’re busy planning our 2016 garden, and maybe you are too. 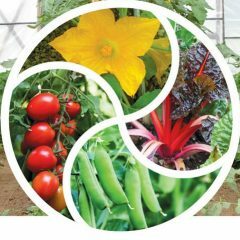 Here’s a link to our Twin Oaks Garden Calendar, which is a month-by-month list of vegetable production tasks. It’s two years old and a few things have changed, but most crops stay the same. Margaret Roach on her website A Way to Garden gave links to various regional garden calendars. She even includes two links in England! I found the one from West Virginia Extension Service particularly helpful and well-organized, and useful in central Virginia too. On the day before Christmas we got our seed orders sent in (Later than I like, but at least we got done). This week our main planning tasks have been around the Seedlings Schedule, getting ready for our first sowings on January 17. Yes, it always seems so early! 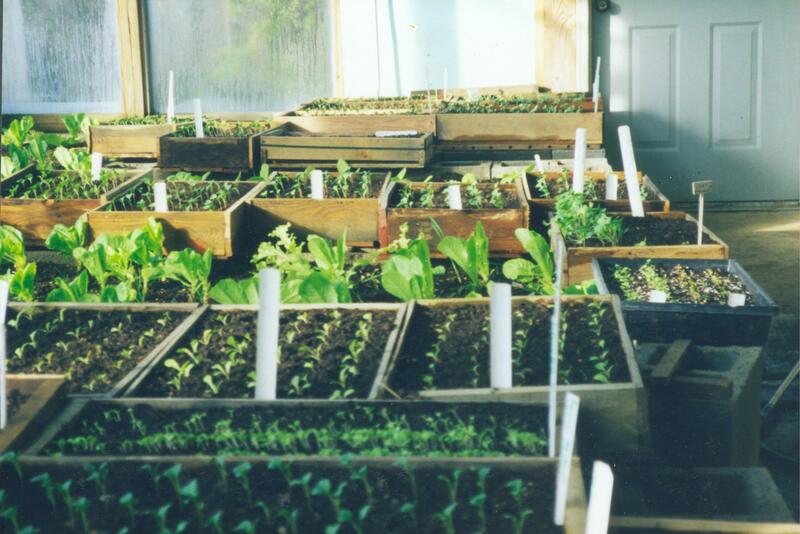 But we want early harvests of cabbage, lettuce, scallions and hoophouse tomatoes, so that’s when we’re starting! This photo is from late January or early February and you can see a mix of newly emerged close-packed seedlings and spotted out young plants in open flats. Also in the middle of the picture are some big lettuce plants that we have been harvesting leaf-by-leaf during the winter. Our greenhouse is on a concrete pad and we have built beds with loose stacked cinder blocks. In September or October we screen compost into wheelbarrows and fill the beds. It’s an “exhilarating” job, balancing the wheelbarrows on boards across the tops of the beds. Once the beds are full we transplant lettuces into the compost. These will feed us during the winter and we pull them up in the new year as we need either the compost to fill seed flats, or the space to set the flats of germinated seedlings in the light. We put sticks across the tops of the beds and set the flats on the sticks. It makes great use of the space, but it isn’t very ergonomically efficient! We have to move the flats individually several times as we take maturing starts out to the cold frames for two weeks of hardening off before transplanting in the garden. I have fantasies of rolling bench tops set over the beds, so we wouldn’t have to do so much lifting and moving. One day! We use 100% home-made screened compost for all our starts (transplants). This gives them a good boost of fertility and helps us reduce bought-in supplies. People sometimes ask if the compost “burns” the plants or if it’s too rich. or attracts aphids. We have a very good compost-making system that provides us with great compost. It has from October to February to mellow out while growing some lettuce for us. In the past we did have some lower-quality, less well-finished compost that did kill off some lettuce transplants in the fall. But for many years we’ve had reliably good compost and no problems of that sort. Compost gives the plants lots of stamina, so that if transplanting is held up, there are still enough nutrients to keep the plants actively growing. I have seen plants in commercial potting compost run out of oomph after a while, and get stunted and useless. We do get aphids, starting just after the Solstice, when it is warm enough for them, but not yet warm enough for their predators. We also get aphids in the hoophouse, where the plants are growing in regular soil. So I don’t think having the seedlings in pure compost is the cause of the aphid population boom. Either way, we often need to deal them a blow, or in actuality 3 blows. We use soap spray three times, at 4-5 day intervals. This knocks out each new generation of hatching aphids (or catches ones that survived the previous spraying). Some aphids lay eggs, others bear live young (isn’t that a scary thought?). After we’ve got the aphid numbers down to manageable levels, we collect up ladybugs wherever we can find them, and take them to our greenhouse or hoophouse, to keep the levels under biological control from then on. Talking of ladybugs, we are hoping to join some research into breeding and releasing native ladybug species for biological control. 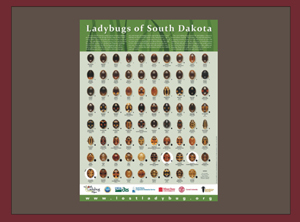 There are many different kinds of ladybugs and two beautiful posters. 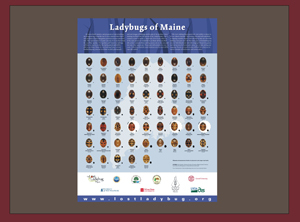 See the Lost Ladybug Project and their Ladybug Identification Tools which include their own two page guide to common ladybug species. The posters are from Maine and South Dakota. Both a long way from central Virginia, but lovely to study nonetheless. Our other main garden pest this month has been deer. We drained and stored our motion-activated sprinkler deer deterrents as well as our solar powered electric fence unit. We also had a groundhog above ground in December – something to be on the look-out for in unseasonably warm weather. Grrr! On the other hand, I did enjoy seeing quince blossoms, even though it seemed weird.